Sharpless 86 is an emission nebula located a little southeast of the star Albireo in Cygnus. 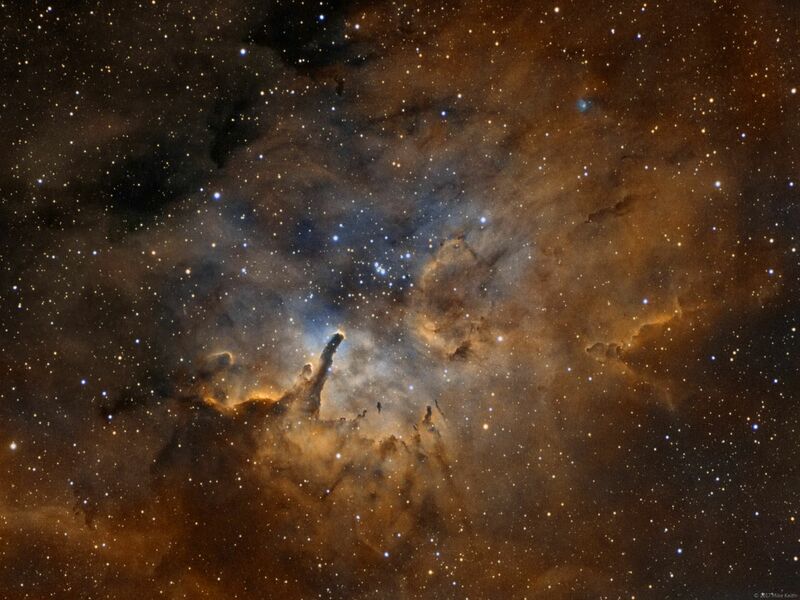 It is illuminated by the energy from the cluster of blue stars, NGC 6823, just above the center of the picture. 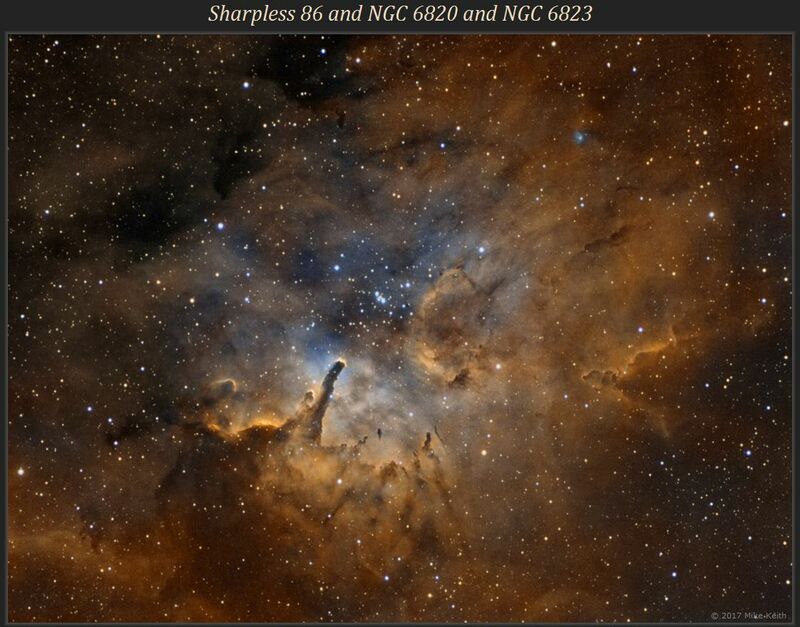 Note that many sources refer to the whole nebula Sharpless 86 by the name NGC 6820 but this is incorrect; NGC 6820 is the small reflection nebula in the upper right of the picture. This is a narrowband image using the HSO (not SHO) palette.